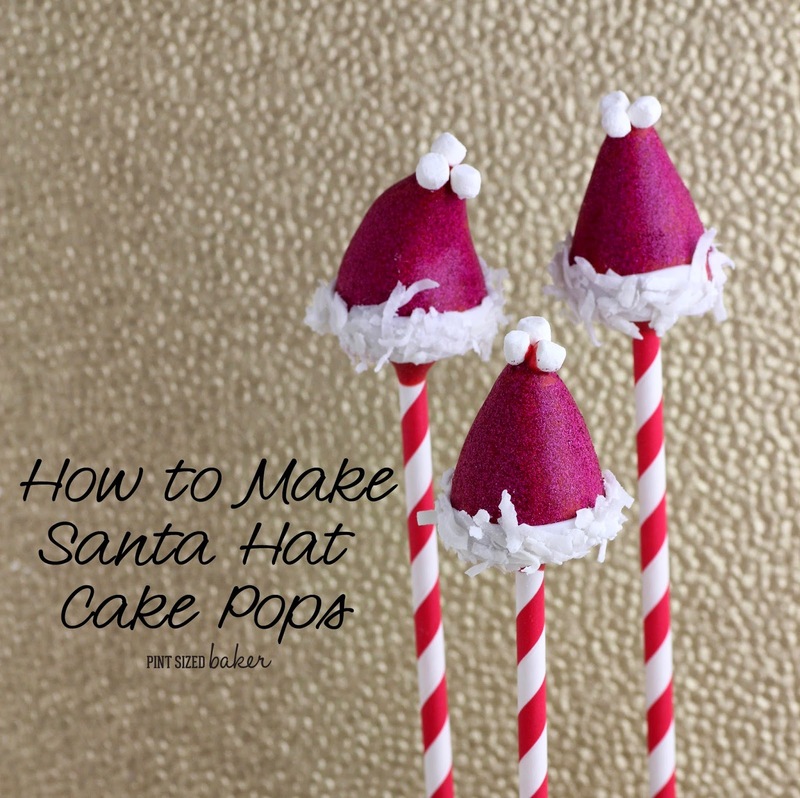 This Santa Hat Cake Pop Tutorial is so cute and perfect for a Christmas treat! 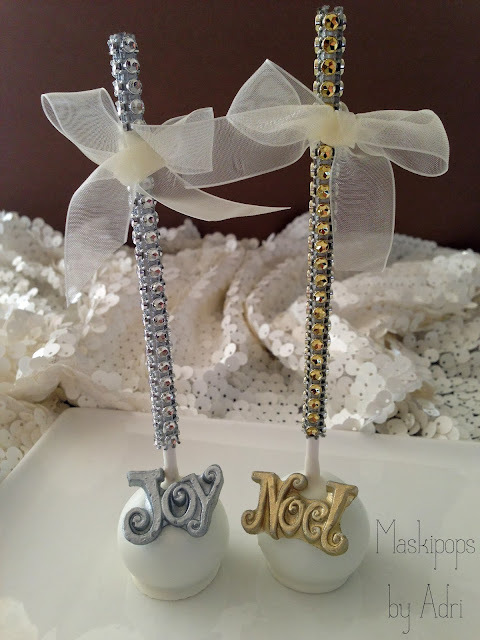 They are super easy to make and look amazing to give to friends! I got a new gig over at Juggling Act Mama! I’ll be sharing cake pop tutorials over there from time to time. Today is my first day and I’m a bit nervous…. 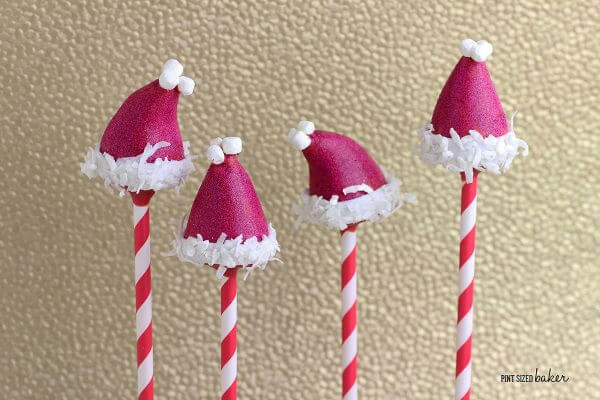 What do you think of these Easy Santa Hat Cake Pops? I’ve got the full tutorial over there. You can make the above basic Santa Hats or you can make Mrs. Claus’ Hats and make them all sparkly and girly like the ones below. You can also go a step farther and turn them into Kawaii Santa Hats. It’s all in the tutorial at Juggling Act Mama. 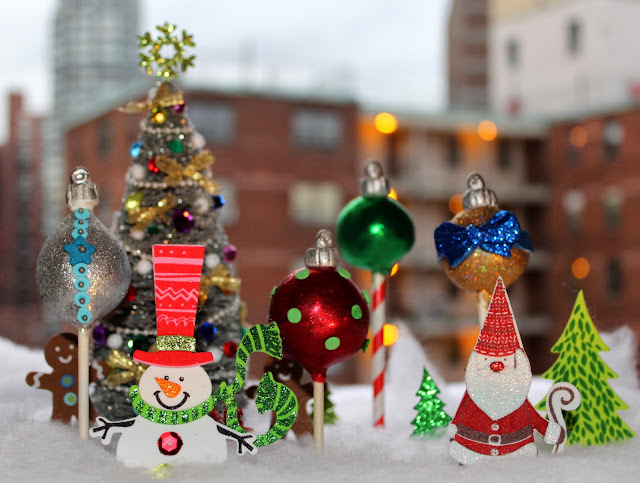 Go check it out for your Christmas Cake Pops this year! 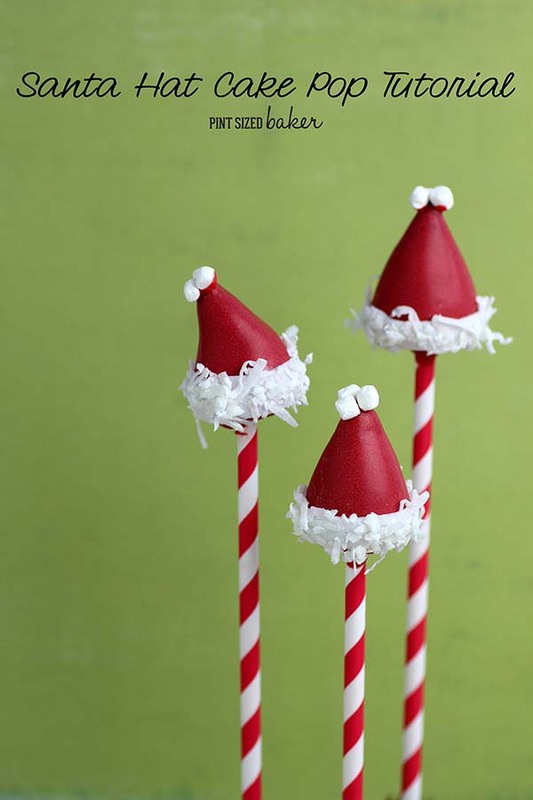 These Santa Hat Cake Pops are so cute and perfect for a Christmas treat! 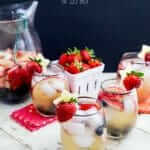 They are super easy to make and look so cute! I love these cake pops! 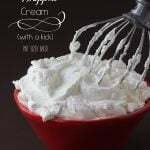 Mix your cake and 1 tablespoon of frosting with a paddle or pulse it until a dough ball forms. 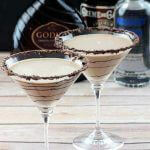 Use a 1 tablespoon cookie scoop to equally measure out the pops. 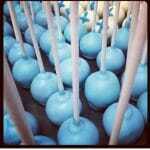 You should get 10 – 12 cake pops. Don’t make them too large. Now, roll the pops smooth. To make shaping easy, I used a triangle cake pop mold. 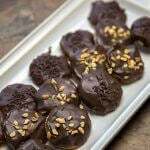 Simply press the cake ball into the mold and press. They all turn out the same size and shape. Melt your red candy wafers in a microwave safe mug. Place them in the microwave for 1 minute on high. Remove and stir then return to the microwave for 45 seconds at 70% power then stir until all the disks are melted. The candy should be smooth and fall off the spatula in an even ribbon, not in big blobs. 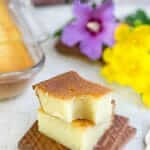 Get 12 lollipop sticks or fancy paper straws, dip ⅛ inch into the melted candy, then insert it halfway into the cake pop. Complete adding all of the sticks. 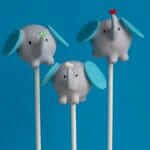 You can stand up the cake pops in a narrow glass, in floral foam, or in a nice cake pop stand. To dip the cake pops, dip straight down into the candy covering it completely, then straight back up. Do not twist the pop in the candy. Tap off the excess candy and when it’s done dripping, add three tiny dehydrated marshmallows to the top or one standard mini marshmallow to the top to make the pom-pom. Stand it up to completely dry and dip the remaining pops. Roll out a golf-ball sized amount of white fondant and cut long strips to go around the base of the hat. 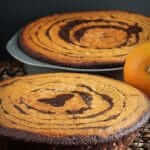 To attach, you can use a drop of candy or a touch of corn syrup. It should stick all on its own. Then “paint” on some corn syrup on the fondant (just a little bit) and then press the shredded coconut flakes onto it and you’re done! To make them sparkle, before adding the fondant trim, brush water on to the dry candy coated cake pop. It should be damp, not dripping wet. Pain on the red Disco Dust and allow it to completely set. Then add the white trim.